Today we’d like to introduce you to Kendall Swenson. I’ve always had two creative passions – acting and makeup. I grew up in Kansas and acted in local productions throughout my childhood – while giving my dolls makeovers on the side. I got my degree in Film Studies, and then after graduation, I started my makeup journey as a traveling makeup artist in Kansas City. I spent several years working for high-end makeup lines both in KC and then LA. 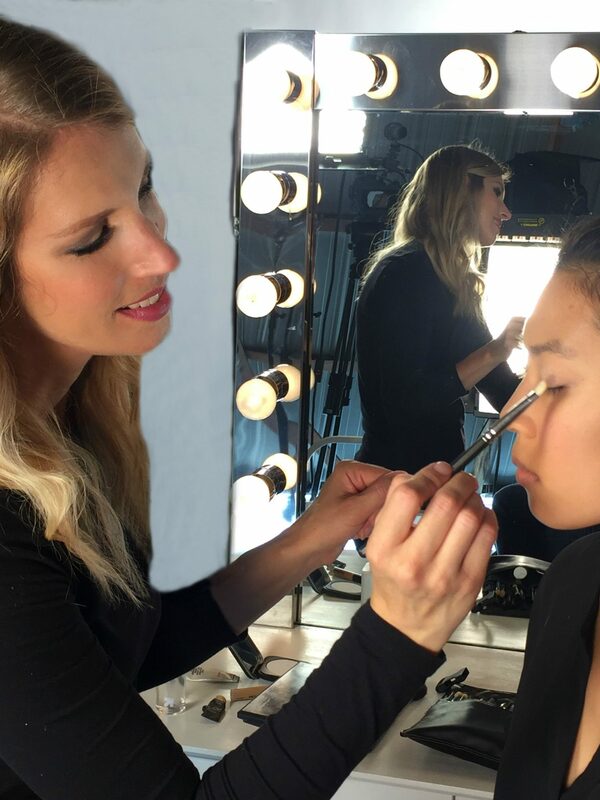 Over the years, I have worked with thousands of real women, and I’ve found this on the job training to be integral to developing my specialty in beauty makeup. At the same time, I felt something was creatively missing from my life. I always knew that I would transition back to acting but I wasn’t sure how. So, I became a free-lance makeup artist in order to do both. I spent years studying acting with the best mentors out here in LA and built my acting career while doing makeup as my side hustle. Over the years, I’ve done lots of cool things as a makeup artist, but I discovered that I also love to teach makeup to others. I come from a family of teachers, it’s just in my blood. So, hosting makeup videos became a natural fuse between acting and makeup, and allowed me to also use my skill set of teaching. I’d been hearing from my clients and friends that they felt overwhelmed by all of the different makeup products and advice out there and so I created The Guide to Getting Glam to fill that information void. The Guide to Getting Glam is a resource for busy women who want to improve their makeup skills with easy, actionable makeup tips and advice. No, definitely not. Being multi-passionate and finding the balance between my careers has been a struggle. When I have focused on one area for too long, it will take some of the momentum away from the other areas. What I am continuing to learn is how to manage all of my different creative impulses. I wish I had known when I was younger that its okay to be passionate in different areas. You don’t have to define yourself by only one path or career choice. You can fully embrace all of your creativity. You just have to make choices about what you focus on at any one moment. I think there can also be a mindset challenge as a creative when you get used to auditioning for others and seeking work in that way. It makes you feel like the power is outside of you when in reality, we all have the ability to create our own opportunities. what should we know about The Guide to Getting Glam? What do you guys do best? What sets you apart from the competition? I specialize in beauty makeup. I do everything from photo shoots and fashion shows to weddings and special occasion makeup. On my site, The Guide to Getting Glam, I take glamour and make it easy, practical, and achievable. I created a free email course to help women create their makeup capsule wardrobe. It helps women declutter their makeup stash, build their basic makeup essentials, and create their signature look. I’m also excited because I just launched my first online makeup course called Glam Bootcamp. 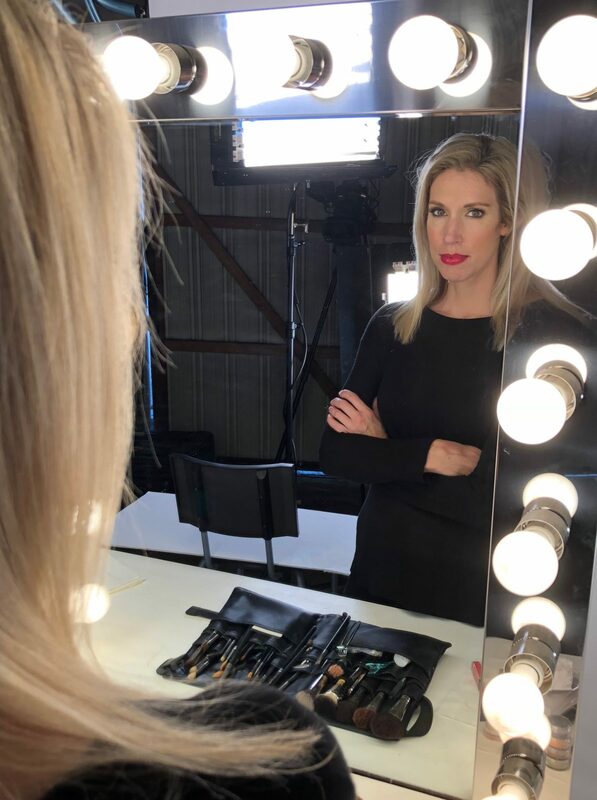 This class teaches the right tools and techniques women need to know so that they can to do their own makeup like a Pro. 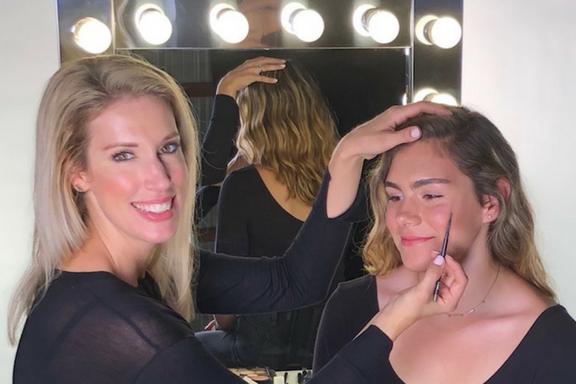 And because I love doing private makeup lessons, I will very soon be offering live online makeup lessons for one-on-one instruction. I also love to take acting and hosting roles, as well as public speaking engagements. I think the false idea that you have to be hyper-competitive with your peers. There’s more than enough room for all of us and we can get so much farther by supporting one another and creating opportunities together.